Looking for quick postcards that you could send to your volunteers to thank them for the amazing job they are doing? Download these designs and send them to a printer! Tip: Use code TRYNDF at NextDayFlyers and get 15% off your first order. I’ve been a guest “expert” with Leadership Network’s Multisite Jumpstart Innovation Lab a few times. This is a fantastic process where we group coach a handful of churches through launching their first campus. Here a few presentations that I gave at the October 2014 meeting of this group. This is a workshop that I gave at the Collyde Leadership Conference in 2014. No need to pay to come to the conference! I recorded the seminar for unSeminary Premium members. Take a look inside one of the largest and fastest growing church’s in the country. This internal document gives you a sense of how they direct their communications strategy through all their departments and channels! This document is used as a core of Elevation Church’s volunteer on-boarding process as a part of a class called “Elevation 101”. 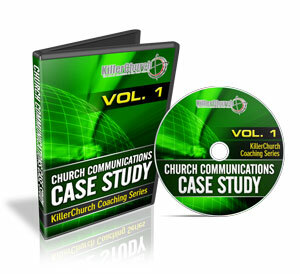 It gives people a great overview of the mission, vision and values of the church. The “announcement time” during any church service is easily the most under-utilized part of the service. It should be looked at as an amazing opportunity to move people into action … to call them out of the stands and on to the field … to engage them in the mission. Want to deep dive into a bunch of different job descriptions from churches from across North America? Download this file and get an inside look at how churches write compelling job descriptions that push the mission forward! 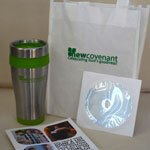 Get an up close look at the first time guest gifts given by the 8 churches listed in this post. Each church’s gifts are photographed in multiple iterations to give you a detailed look at what they give to their people. 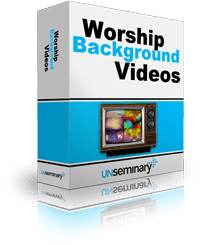 Download this pack of 10 curated worship background videos hand selected to make an impact during your services. These videos are perfect for running behind lyrics during the music in your services or as an aid when you’re doing the announcements. You could use this videos with a program like ProPresenter or MediaShout to show during the service or bring them into a video editor for a post production piece. Other “Holy” Days Celebration Ideas from 80 Churches Across North America. Throughout the Christian calendar there are days that it seems like the community is more likely to accept an invitation to come to church. 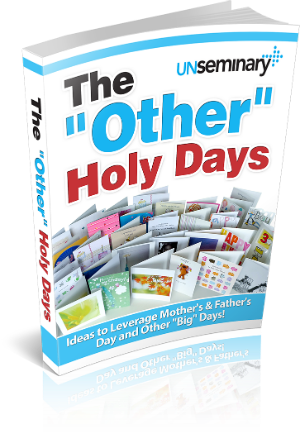 For our church it’s Christmas and Easter … but what about those “other” holy days? You know … the one’s that our culture (and greeting card companies) have made super important for people to celebrate. Does your church do something special for Mom’s on Mother’s Day? Do you serve bacon ice cream Sundae’s on Father’s Day? We surveyed 80 churches from across the country and asked them to rate how “big of a deal” they make these sorts of days. We also ask them to give us some ideas of what they do to celebrate these days. We compiled all these findings into this ebook that gives you a glimpse into some ideas that you might apply at your church! 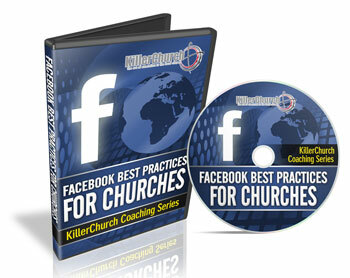 How does your church leverage Facebook? Are you creating compelling social content that is drawing in your community and propelling your mission forward? Facebook represents a massive missional opportunity for your church. The role of bulletin as a communication tool for modern churches. How social media fits into an overall communications strategy. What the three majors segments each of your ministry areas needs to aiming it’s communication towards. Suggestions on how to work with ministry leaders who are feeling like their area isn’t getting covered enough. … and a bunch more! 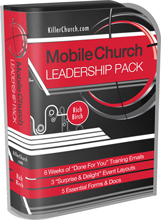 a short cut to a better portable church experience. 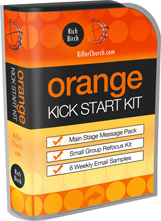 Proven tools to help you ramp up to be an “Orange” . . . a church that combines the influences of the home and church to impact families! We’re adding new stuff throughout the year . . . drop back in and see!